Alfie Potter has been nominated for the PFA Bristol Street Motors League Two Player of the Month Award. 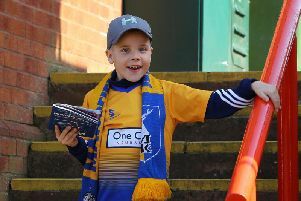 Mansfield Town midfielder Potter was instumental in their rout over Newport, scoring a hat-trick in the Stags’ 5-0 win. And you can help Potter claim the award by voting for him on the PFA’s website HERE.